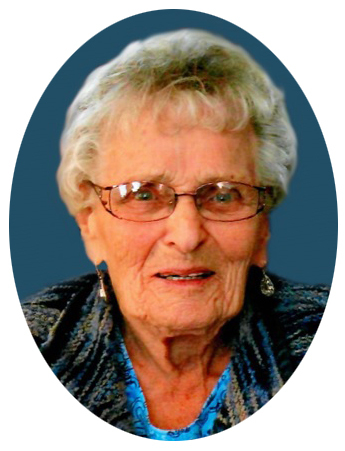 It is with great sadness that the family of Marie Rose Irma (Hardy) MacKenzie announces her peaceful passing at the Rose Villa on April 6, 2018 at the age of 92. She leaves to cherish her memory her son David MacKenzie (Vanessa) of Lloydminster and his daughters Justine Bilawchuk & her children Memphis, Jerzie, Haven; Megan (Justin) Spees and Danielle (Steven) Kendall and their mother Laura MacKenzie (Myron); her daughter Novalee (Warren) Heatherington of Rosetown and their sons Justin (Sonja) Heatherington, Brandon Heatherington and Kendall Heatherington; a special niece Lois (Bernie) Derdall and numerous other nieces, nephews and cousins. Rose was born on March 23, 1926 at La Fleche, SK to Jean and Angelina Hardy. Rose was the youngest of ten siblings, six brothers and three sisters. Her parents came from St. Leonard, Quebec and moved to Saskatchewan where she was born. When she was young, her family would move to Makaw, SK where she would attend school. She left home at an early age to find work and continued to work until her late eighties. She worked at many different jobs throughout her life from housekeeping to hotel maid to waitressing to clerk to cook at the hospital here in Rosetown. She was a hard worker and took pride in every job she did. She was an awesome cook, baker and canner. She loved to spend time with her family and friends and especially the time spent with her grandchildren. She loved playing cards, gardening, singing and just being around people. She had a good sense of humour and liked to playfully tease people. She met Ewen “Mac” MacKenzie while working in Elrose and they were married in February 1962. They made their home in Rosetown in 1968. They enjoyed fishing, hunting, wild life drives and going on picnics. They especially loved spending time together with their children and grandchildren. Family meant a lot to them and they were very proud of their children and even more proud of their grandchildren who were the apple of their eye. Rose was predeceased by her husband Ewen in 2003; her parents Jean and Angelina Hardy; her brothers Alex, Leo, Paul, Wilfred, John and Bob; and her sisters Adrienne, Bernadette and Irene. Also her sister-in-laws Peggy McLay and Catherine Neufeld. The Funeral Service was held on Tuesday, April 10, 2018 at 2:00 p.m. at the Rosetown Alliance Church with Pastor Tim Cadieux and Mr. Andy MacKenzie officiating. Interment followed at the Rosetown Cemetery. Donations in memory of Rose may be made to the Alex Ositis Foundation, P.O. Box 1251, Rosetown, SK, S0L 2V0.